We are located in North Orlando, Florida and our hours of operation are 10am-6pm Eastern Standard time. We pride ourselves on having excellent customer service. We are here to answer any questions you may have about your purchase. If you need suggestions on what would be best for you, or if an item will work on your vehicle just ask. If you have any questions about a product, an item you can't find, or if you need suggestions please let us know. We will also do our best to beat any price you may find from another company. If you find a lower advertised price on any item we sell simply email us the link and we will do our best to not only match the price but beat it for you. 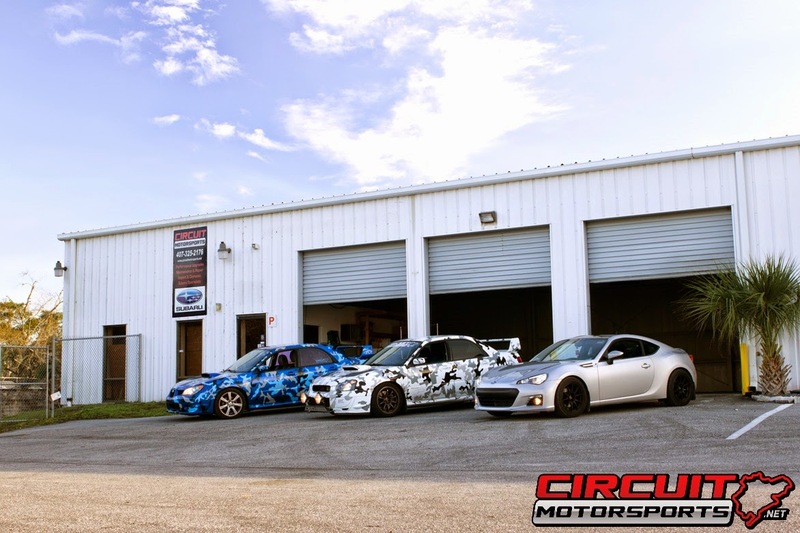 Circuit Motorsports is a full service automotive facility located in Orlando Florida. Specializing in performance automotive parts, aftermarket part installs, and Subaru repair and maintenance. We have a Certified Subaru Technician on hand with over 8 straight years of experience in factory repairs and aftermarket upgrades. Our expertise and knowledge base extends to many import and domestic vehicles including; Lexus, Scion, Toyota, Dodge, Mitsubishi, Nissan, BMW, and more. We'd love to hear from you! If you are in need of performance parts, aftermarket part installs, or Subaru service, maintenance, and repair in the Orlando area, don't hesitate to get in touch or visit one of our pages!